Councilmember Annie Campbell Washington poses for a picture with anti-tobacco advocates at last night's meeting. The rumor swirling around Oakland's City Council meeting last night was that Rev. Al Sharpton, or a deputy from his National Action Network organization, was going to make an appearance and speak out against a proposed ban on flavored tobacco products. Sharpton didn't show, but several councilmembers told the Express that they've already met with other lobbyists working for the tobacco industry. Tobacco companies are worried about the latest public health initiative gaining traction in cities: bans on flavored cigars, blunt wrappers, menthols, and vape juice that critics say target youth and people of color with a deadly product. Several Oakland councilmembers said they'll listen to the tobacco industry's representatives, but that it won't change their support for the ban. "I'm still going to support it," said Councilmember Larry Reid, who added that he's already met with one lobbyist of the tobacco industry, although he couldn't immediately recall the man's name. Reid also said that a group of Black women have asked to sit down with him to explain their concerns about the proposed law. According to Reid, their message is that the ban will hurt small businesses, some of them owned by Black entrepreneurs. Reid used to smoke, but he underwent a heart procedure in April. He said at a rally supporting the flavored tobacco ban last month that his personal health problems stem from using tobacco, and this experience has led him to strongly support the ordinance. 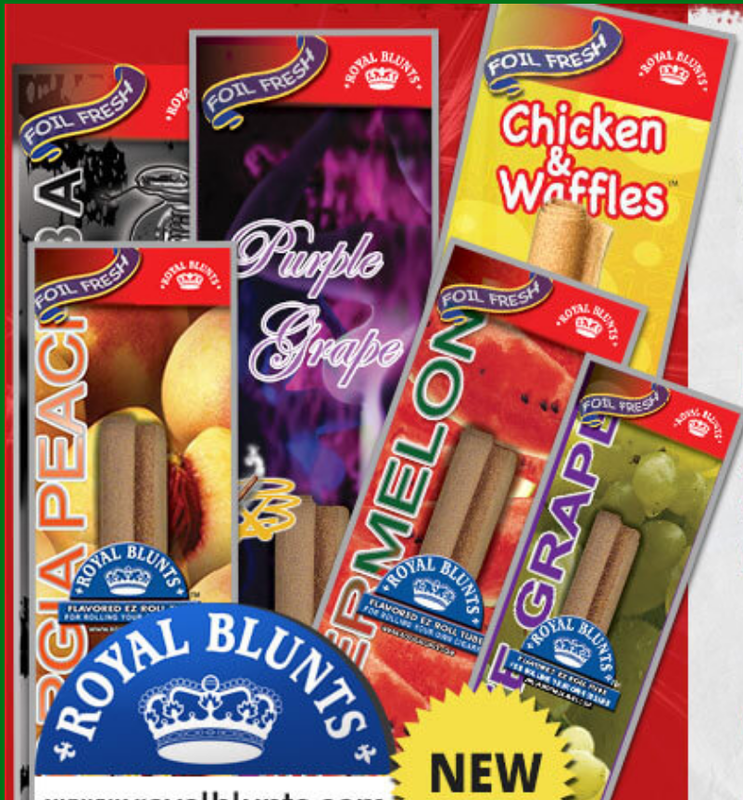 Flavored blunt wrappers manufactured by New Image Global including "Chicken & Waffles." Councilmember Annie Campbell Washington, who is spearheading the anti-tobacco ordinance, said that she already met with Lance Alexander of New Image Global, one of the leading manufacturers of blunt wrappers that come in flavors including watermelon and chicken and waffles. Alexander's message to her was that the flavored ban will create a black market and hurt small, local businesses. Campbell Washington and Councilmember Rebecca Kaplan also told the Express that they heard rumors that Sharpton's National Action Network might get involved in Oakland before the council votes on the ban. Sharpton's group has been lobbying local governments against tobacco restrictions on the grounds that such laws further "criminalize" people of color. And he's brought this message to Oakland before. Last October, Sharpton told a gathering at Oakland's Beebe Memorial Cathederal that banning menthol cigarettes will create a vast underground market, and lead to more confrontations between Black people and law enforcement that could result in further mass incarceration and violence. The National Action Network didn't immediately respond to an email from the Express seeking comment. However, proponents of the flavored tobacco ban in Oakland say that Sharpton has taken money from the tobacco industry, and that he and others are spreading misinformation. "This ordinance does not criminalize African American men," said Marcia Brown-Machen, the co-chair of Alameda County's Tobacco Control Coalition. "People who come to speak to you have taken money from the tobacco industry. The penalty will always be on the merchant, not the consumer." Carol McGruder, the co-chair of the African American Tobacco Control Leadership Council, said that the tobacco industry developed the message that flavored bans, especially those limiting the sale of menthols, will criminalize Black people, but that there's no truth to this. Instead, McGruder said the tobacco industry is responsible for the deaths of hundreds of thousands of Black people because it has purposefully marketed menthol cigarettes to African Americans. Serena Chen, who worked for the American Lung Association for twenty-three years, said the industry heavily lobbied Oakland's leaders in 1993 just before the city passed its original anti-second hand smoking ordinance. 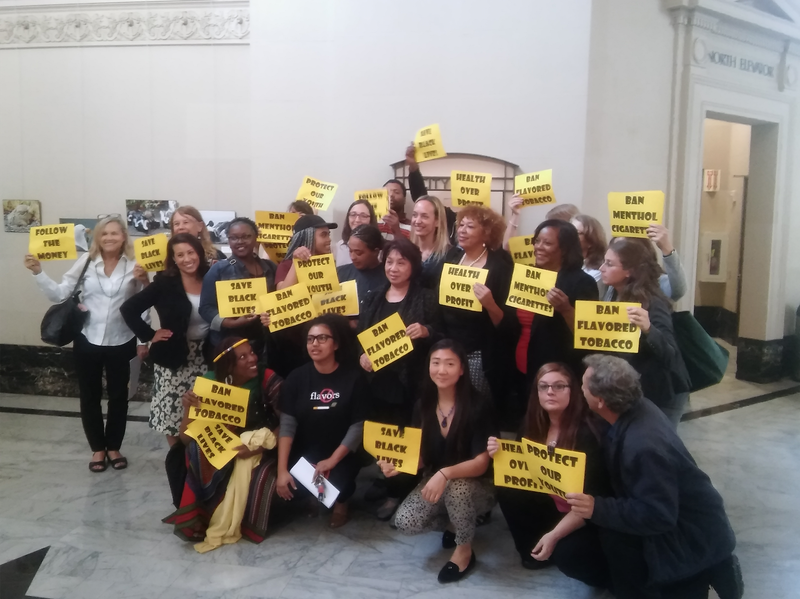 "The Tobacco Institute, a front group of the industry, came to Oakland and offered $25,000 to various people who were close friends of the mayor in order to defeat the ordinance," said Chen. That industry's effort fell flat. Proponents of the flavored ban say they don't expect the industry to stop the new law either. According to Fremont officials, preparing to release records of 13 incidents of ‘sustained’ police misconduct and shootings will consume 1,268 hours of staff time.